One woman, one kayak, and 1,200 miles on the Inside Passage. Put any human in a tiny vessel and send them up a perilous 1,200-mile stretch of the Inside Passage of Washington State, British Columbia and SE Alaska-and they are bound to have stories! Susan Marie Conrad's stories are not just filled with intrigue and adventure, but they have heart, inspiration, acceptance and gratitude. Come and share an afternoon of adventure with Susan, who, in 2010, completed a solo 1,200-mile sea kayak expedition up the Inside Passage. Relive the trip with Susan as she shares experiences of paddling marathon distances for days on end, struggling to keep an open mind and interacting with the sea on its terms, forging friendships with amazing people in remote locations, pretending not to be intimidated by 700 pound grizzly bears and 40 ton whales, and living her dream. Susan Marie Conrad is a water-loving, adventure-seeking, word-slinging kinda gal. She's an author, podcastress, exped ambassador, and expedition paddler. 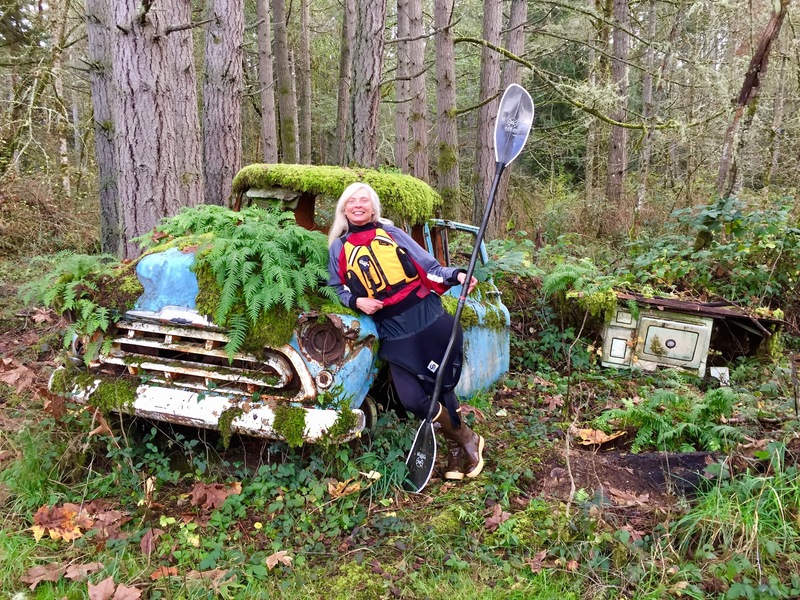 Susan first got bit by the kayak bug working for the Outdoor Program at Southern Oregon University in the late 1980s. After graduating she moved to Montana and co-founded a kayak company, which she successfully ran for 10 years, leading guided trips, and sharing her passion of the sport with anyone who would listen. Susan is certified through the American Canoe Association (ACA) as an Open Water Coastal Instructor. She lives in Oso, Washington-where within minutes she can be hiking a peak in the North Cascades, or floating on a small mountain lake or on beautiful nearby Puget Sound.